Joseph Michael Bonelli, 62, passed away peacefully at home on Wednesday, October 10, 2018, surrounded by his loving family and close friends. Joe was a lifelong Vicksburg resident and graduate of Vicksburg High School. 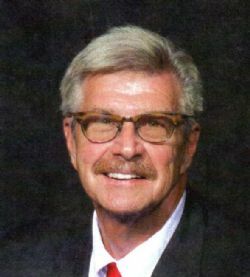 He was a well-known contractor and businessman, as well as an avid outdoorsman. He is preceded in death by his mother, Marjorie Ring Bonelli, father Robert Henry Bonelli, father-in-law, Kenneth McBeath, and sister-in-law Sylvia McBeath. Joe is survived by his wife of 32 years, Marla McBeath Bonelli, sons Joseph Michael Bonelli, Jr.(Hannah), and John McBeath Bonelli, mother-in-law Wynette McBeath, granddaughter Halle Grace Bonelli and future granddaughter Elizabeth James Bonelli who is due in January 2019. Visitation will be held at Glenwood Funeral Home on Thursday, October 11, 2018, from 5:00 p.m. to 8:00 p.m. A memorial service will begin at 2:00 p.m. on Friday, October 12, 2018, at First Presbyterian Church with visitation starting at 1:00 p.m. until the hour of the service. Pallbearers will be Bob Anderton, Eustace Conway, David Cox, Gary Ferreri, Hunter Fordice, Robert Jarvis, Carl Koestler, Harold May, Kim McBeath, Charlie Ring, David Sessums, Randy Thorne, and Charles Toney. Memorials can be made to Jacob's ladder or a favorite charity.